Aside from striping the forests of biodiversity, over 80% of animals die during the smuggling process, and those that do reach their destination often suffer a life of deprivation. 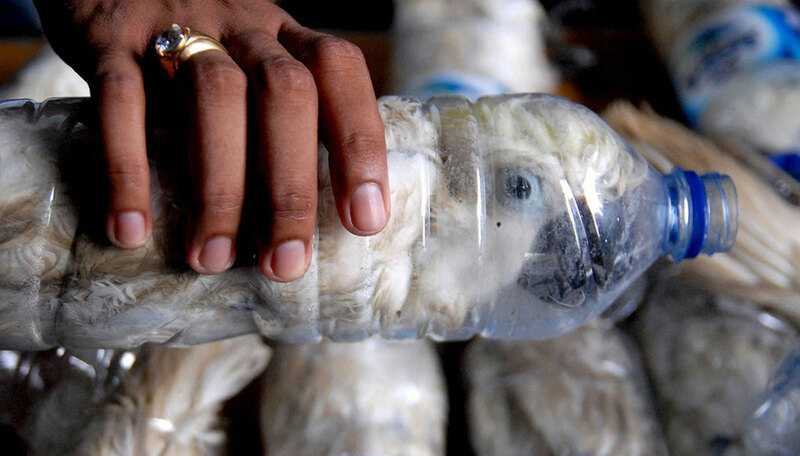 These Indonesian sulphur crested cockatoos are a 'protected' species but that doesn't stop the trade in them. According to Interpol, after the illegal drug trade, the illegal trade in wildlife is the second highest illicit money maker globally. A small part of that illegal trade is in bush or wild meat but most of it centres around supplying the pet trade. The smuggling process itself is incredibly cruel. Animals have their mouths taped shut, are contorted into dangerous positions and left in their own faeces for hours. Birds often have their eyes perforated to prevent them singing in reaction to daylight. Trinidad & Tobago has witnessed first hand the effects of the illegal pet trade. In the 1970s the blue and gold macaw disappeared from the forests of our islands. Every last one was caught and sold for a pet in the US and Europe. The birds seen here today were reintroduced. Our list of birds lost to the pet trade is extensive as the high prices have fuelled their demand. Trinidad & Tobago now boasts a first world economy, so the traffic is now also coming into the country as well as out, and with it comes the risk of disease which can affect both wildlife, domesticated animals and people. Proper laws and enforcement is necessary to curb this threat to our bio-diversity, but we also need to educate people about where these 'pets' come from - as long as the demand exists, the supply will keep up until there are none left to buy. Please be aware that owning any animal as a pet is a big commitment. 'Exotic' pets even more so. Never buy a bird that does not have a closed band on it's leg - it is illegal! Be prepared for a long term commitment - parrots can live for 85 years. Animals grow - your baby python will grow to up to 30 feet, so ensure you will have enough space for it's lifetime (25yrs). Wild animals eat a lot! An ocelot will consume 150 pounds of meat a month. An owl or a hawk needs 180 mice a month. Wild caught, illegal unregistered pets can harbour disease and parasites. If you have been offered an 'exotic' animal or would like advice on owning a pet please contact us.